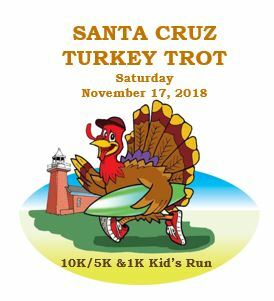 Scenic ocean view, flat and fast out and back courses that begin and end on Delaware street by the back entrance to Natural Bridges State Park. Race takes place RAIN OR SHINE! Awards for 10k, 5k & 1k!